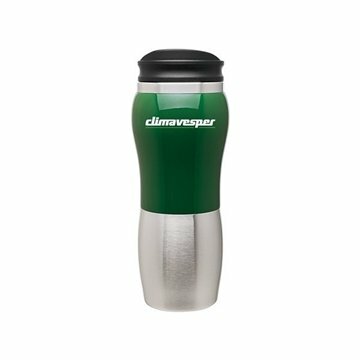 14 oz double wall 18/8 stainless steel tumbler with foam insulation, acrylic accent, and push-on swivel lid · patent #D502,844. This item was purchased before we were happy using the product so we decided to purchase more. I was impressed with the quality of product and repair. They are extremely great product. The imprint came out nice. This is an enjoyable item to offer to employees. Not just fast turnaround but very accomodating staff. Thanks again. Loved how our logo turned out and the fact that it didn't cost us that much. I like it that when we have an idea you guys can always make it happen. It was perfect.